This plasma could lead to limitless clean energy. Plasma is a hot, ionized gas that makes up 99.9 percent of all observable matter in the universe. Within a highly conductive plasma are magnetic field lines that can join each other, break apart, and come together again. Like the breaking of a molecular bond, this phenomenon, called magnetic reconnection, releases massive amounts of energy. During magnetic reconnection, the magnetic field energy is converted into both kinetic and thermal energy. The phenomenon usually occurs in thin sheets of plasma, where an electric current would be most concentrated, and it is responsible for natural occurrences like solar flares, the northern lights, and gamma-ray bursts in outer space. Magnetic reconnection occurs in the observable universe much faster than should theoretically be possible. To account for this, researchers have hypothesized that plasmoid instability is at play during collisional magnetic reconnection. These instabilities would break apart plasma sheets into magnetic bubbles (plasmoids) that could then account for very quick magnetic reconnection. Until August of 2016, plasmoid instabilities had only been observed in collisionless plasma (plasma in which collisions are negligible, like that present in Earth’s upper atmosphere). Plasmoid instabilities in collisional plasma (plasma with frequent collisions, like that present in outer space) had previously only been indirectly observed through telescopes, spectroscopes, and fusion facilities. Through the analysis of light, it was clear that plasmoid instabilities could be occurring, but scientists still did not have direct evidence. 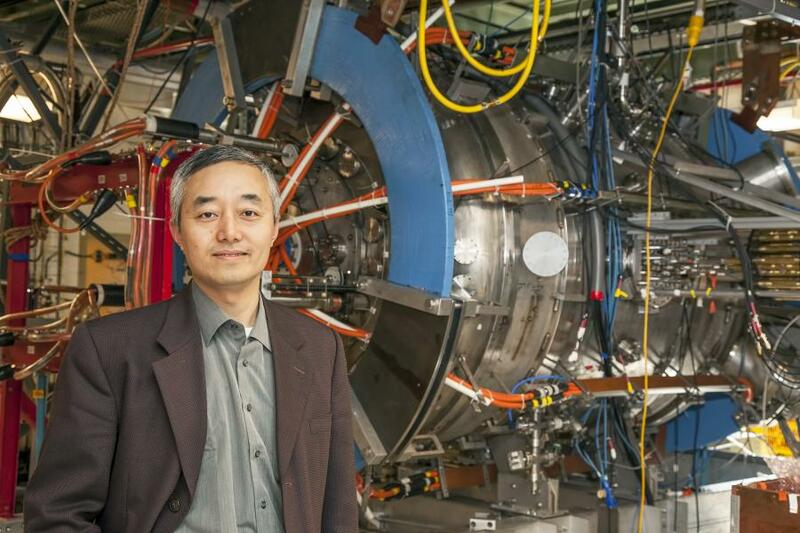 However, in a paper published in the August 2016 issue of Physical Review Letters, physicists from the Princeton Plasma Physics Laboratory (PPPL) reported that they were able to directly observe plasmoid instabilities in collisional plasma in a laboratory setting. That research, which was funded by the United States Department of Energy (DOE) and the Heliophysics Division at NASA, allowed physicists to confirm the existence of plasmoid instabilities on the electron scale. Now, the research team has used a Magnetic Reconnection Experiment (MRX) and an argon-based plasma — as opposed to the hydrogen, deuterium, or helium plasmas used previously — to more easily produce the conditions necessary for collisional reconnection. This expansion on the research allows scientists even better access to the interactions that typically take place only in the deep reaches of outer space and on the surfaces of stars. These findings are more than just interesting literature. Magnetic reconnection can cause large bits of plasma to shoot off of the surface of the Sun and interact with Earth, a phenomenon known as Coronal Mass Ejections (CMEs). The shock wave of the mass of particles traveling from a CME can cause geomagnetic storms that can interfere with Earth’s magnetosphere and even go so far as to cause widespread electrical blackouts. Fully understanding magnetic reconnection and how plasmoid instabilities affect it could allow us to better predict storms in space, explain astrophysical phenomena, and even improve our ability to confine plasma in tokamaks (doughnut-shaped magnetic devices). Since magnetic fields are used to confine plasma within a tokamak, fully understanding how those lines might break apart and reconnect is essential if we want to harness nuclear fusion as an energy source. Nuclear fission currently accounts for just a small percentage of the energy that is consumed on Earth, and it is not entirely reliable or safe as a longterm energy solution. Nuclear fusion, on the other hand, offers a possible solution to our current energy crisis, providing almost unlimited sustainable energy without producing greenhouse gasses or dangerous radioactive materials. This scientific breakthrough could truly revolutionize our relationship with energy as the global population continues to increase and fossil fuels continue to challenge our future existence on this planet.